Veterans who served during the Vietnam era may be eligible for both service and non-service connected VA benefits. This includes veterans who were exposed to various service-related hazards during the war like Agent Orange, and vets who experienced Post Traumatic Stress Disorder (PTSD) after the war ended. The VA pays service-connected benefits (VA disability compensation) to veterans who were injured or became ill during active duty, or whose health conditioned worsened during active military service. Benefits are also paid to veterans with mental health conditions like Post-Traumatic Stress Disorder (PTSD), and service members who became disabled from VA health care. VA disability benefit amounts range from $133 per month to over $3000 per month. To qualify for VA service-connected benefits, the veteran must have served on active duty, or active duty for training, or inactive duty training and was discharged under other than dishonorable conditions, and was at least 10% disabled by an injury or disease that occurred or was aggravated during active duty or active duty training or inactive duty training. Extensive medical evidence is required for a claim, including the relationship between the injury or disease and military service, as well as medical records and/or medical opinions. Some veterans are automatically presumed disabled, including former prisoners of war, veterans with certain types of chronic or tropical diseases, veterans who were exposed to ionizing radiation, mustard gas or Lewisite, Vietnam veterans who were exposed to herbicides and veterans who serviced in Southwest Asia during the Gulf War. Millions of gallons of tactical herbicides (non-commercial herbicides specifically developed for use in combat) were sprayed on foliage during the Vietnam war. The herbicides were used to defoliate forests, crops, and the areas surrounding military bases. Spraying took place from 1961 to 1971 in South Vietnam, Laos, Cambodia and the Korean Demilitarized Zone. The herbicides were sprayed by helicopter, aircraft, tracks, boats and backpacks. Tactical herbicides were also used, tested and stored in other locations, including U.S. military bases. Types of tactical herbicides included Agent Orange, Agent Blue, Agent Purple, Agent Pink and Agent Green. The defoliation program, known as Operation Ranch Hand, was at its peak from 1967 to 1969. After the Vietnam war, many veterans who had come in contact with tactical herbicides became ill with serious health issues, including lung cancer, throat cancer, prostate cancer, colon cancer, liver cancer, ischemic heart disease, liver cancer, respiratory disorders and skin conditions. The first Agent Orange claims were received by the VA in 1977. Following the passage of the 1991 Agent Orange Act, the VA now presumes that any veteran who served in Vietnam between January 9, 1962 and May 7, 1975 was exposed to Agent Orange. This means veterans filing disability claims for illnesses determined to be related to Agent Orange and other herbicide exposure do not need to prove they were exposed. Benefits are also available for the biological children of Vietnam veterans who served during this period, if the child was born with spina bifida or other birth defects. Post-Traumatic Stress Disorder (PTSD) is a debilitating medical condition caused by trauma. Vietnam-era veterans can qualify for VA disability benefits if they suffer from PTSD due to their military service. Common symptoms of PTSD include nightmares, depression, anxiety, flashbacks, hostility and insomnia. In 2010, the VA determined that veterans no longer had to have proof of the event that caused PTSD, which made it easier to get disability claims approved. Currently, veterans can get their PTSD claims approved by providing a current PTSD diagnosis, a statement from the veteran describing the event (stressor) that caused the disorder, the event being consistent with the circumstances of the veteran’s service, no strong evidence that shows the event didn’t occur, and a medical opinion from a psychologist or psychiatrist. The Veterans Health Administration (VHA) is the largest provider of health care in the United States, with over 152 hospitals and more than 1,400 outpatient clinics. Eligibility for health care services includes having an honorable discharge, with at least 24 months of continuous service, unless the veteran was discharged due to a service-related injury or aggravated health condition. Veterans with a dishonorable discharge are not eligible for VA health care services. A veteran with a less than honorable discharge may be eligible depending on the circumstances. Vietnam veterans who are enrolled in the VA healthcare system have access to many different types of medical benefits, including long-term care. Eligibility for long-term care services is based on a veteran’s service-connected disability status, having a clinical need for the service and service availability. Some long-term care services may require a co-pay depending on the veteran’s financial situation. Vietnam veterans who have disabilities and illnesses that affect their ability to perform daily living tasks may be eligible for a VA long-term care pension called Aid & Attendance. The Aid & Attendance benefit is a tax-free, lifetime benefit for veterans age 65 years and older who served during an eligible period of war. 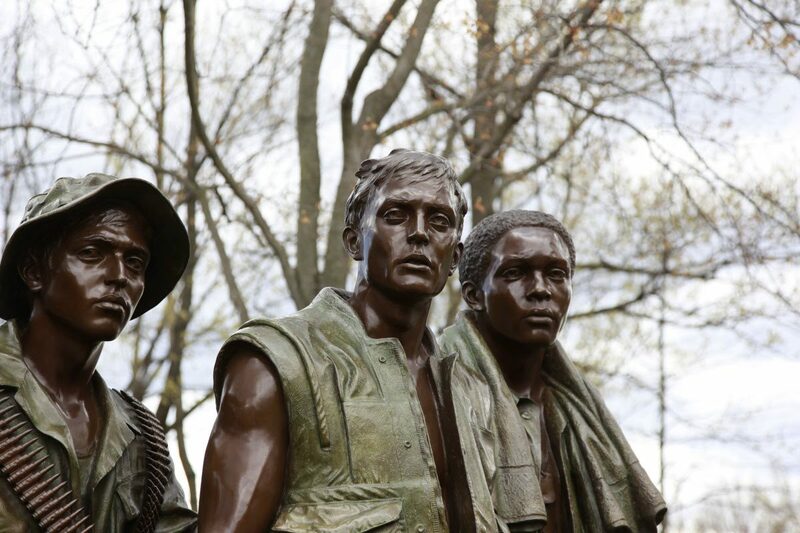 The eligible period of war for Vietnam veterans is August 5, 1964 to May 7, 1975 inclusive, for veterans who served in the Republic of Vietnam during that period and, beginning on August 5, 1964 and ending on May 7, 1975 inclusive in all other cases. Other Aid & Attendance qualifications include the veteran needing help with daily living activities (bathing, dressing, eating, toileting and transferring). The VA will also look at income, assets and cost of care when determining eligibility and benefit amounts. The Aid & Attendance benefit pays up to $2,846 per month as a reimbursement for the cost of long-term care, including home care, adult day care, board and care, assisted living and skilled nursing care. The benefit is also available to qualified dependent spouses and surviving spouses who need assistance with daily living activities. Aid & Attendance can help Vietnam War veterans cover the expenses of long-term care. If you would like to learn more about this pension and how the claim process works, call us today at (877) 427-8065 and ask to speak to a benefit consultant.